Blog | Alan King Illustration | Welcome! 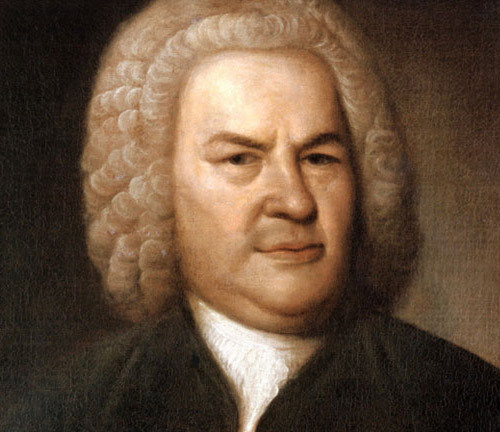 I’ve been learning the Bach’s Goldberg Variations recently. I know that sounds absurd. It’s the piano music that Glenn Gould dazzled the music world with in 1955 and it’s famous for its technical and interpretive challenges. You’d have to be nuts to attempt them if you didn’t have the chops or the months, or maybe years, to commit. I’d sight-read through them over the years, learning 4 or 5 to performance level, but thought it would be too much effort to learn them all. Then I thought, well, why not? At least I could say I tried. Of course, not all the variations are finger-breakers. As well as its evocative theme and final recapitulation, there are quite few simple, relatively non-contrapuntal bits that richly reward whatever part of yourself you put into them. The technical difficulties mainly arise from the fact that Bach wrote them not for the piano — which had only just been invented — but for the two-manual harpsichord. In fact he identifies which variations should be played on one keyboard and which on two. The ones played on two have parts where the hands overlap. The right hand, normally playing at the top of the keyboard, suddenly heads south towards the bass clef and the left hand heads north. As they cross, the fingers can get intertwined and trip over one another. It’s a bit like ten people playing hopscotch on a patch of sidewalk at the same time. They have to land on a different square one after the other in perfect synchronicity. This bit of digital choreography requires a huge amount of practice and decisions have to be made about whether right should go over left or vice versa. Be assured, if you’ve heard a performance of the Goldbergs played well, the pianist had to play certain bars in the fast movements thousands of times to get them right. One of the reasons I love them is because they were sort of Bach’s neglected step-child. They lay gathering dust for a couple of centuries, relegated to a pedagogic limbo. Then along came Gould who discovered there was gold buried in them thar Goldbergs. He dug out the nuggets and polished them until they glowed. To me they’re a microcosm of Bach’s history. Utterly neglected for seventy years after his death, it wasn’t until the young Mendelsohn conducted a performance of the St. Matthew Passion that musicians started to take him seriously. Since then, and certainly at this moment, there isn’t a single second where Bach isn’t being performed somewhere in the world. Part of this is a result of his almost incomprensibly huge output. Hänssler Classics put out a collection of CD’s a few years ago of his complete works — 155 disks. If you do the math it means if you put the first disk in your player on a Sunday and play them one after the other, you wouldn’t take out the last one until the following Sunday. And the amazing thing is that nearly every minute of it is worth listening to. Most of it is truly great music. The other daunting aspect of this is that Bach probably wrote the Goldbergs in less time than it’s going to take me (or anyone else) to learn to play them. British historian Hugh Trevor-Roper seems to have had a lifelong fascination with fakes and fraudsters. The first book of his to reach beyond an academic readership was his 1976 exposé of Sir Edmund Backhouse, the turn-of-the-century sinologist who was regarded as an expert on the Chinese Empress Dowager and her court. Trevor-Roper revealed that the court diary Backhouse relied on was actually a forged document. A well-written, fascinating chronicle. But true? Hardly a word of it. The posthumous publication of Trevor-Roper’s correspondence with Bernard Berenson shone a light on his relationship with the famous scholar/entrepreneur who made a fortune authenticating, then selling Renaissance paintings to rich Americans. A number of those paintings were later found to be wrongly attributed. Trevor-Roper had to know that what Berenson and his unscrupulous art dealer, Joseph Duveen, were up to was a bit of a fiddle. Then, of course, there were the Hitler diaries. In 1983, as a director of the London Times, he authenticated the hand-written notebooks when they appeared out of nowhere and was forced to make a hasty reversal when they were proven, conclusively, to be fakes. For the Master of Peterhouse, Cambridge, aka Baron Dacre of Glanton, it must have been a humiliating climb-down. Now his interest in deception seems to have followed him to the grave. An enterprising editor, Jeremy Cater, has fine-tuned a manuscript about the history of Scotland that Trevor-Roper had left not quite finished a few years before his death. Though incomplete, there was still enough material to challenge many of the country’s most cherished beliefs. 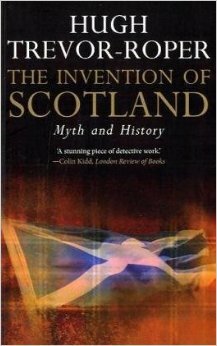 He felt that much of what the Scots thought they knew about their history was untrue or wildly embellished – a fraud, in other words. He made no secret of his reasons. A vociferous opponent of Scottish independence, he began writing the book during the resurgence of the independence movement during the 1970’s. He felt that Scotland owed much of its success to its commercial and intellectual ties to England. His opinion of pre-unification Scotland was that it had been a backwater and feared it would slip back if it severed its ties to Westminster. An icy dip in the turbulent waters of Scottish history might be just the thing to bring the Scots to their senses. Like the Germans, the Scots harkened back to early fables of warrior kings to reinforce their sense of identity and as psychological compensation for defeat on the battlefield. The consequences of this imaginative rationalization were obviously much more benign for the Scots. In the 18th century one of those myths was given life in the romantic poetry of Ossian, who, according to his discoverer, James Macpherson, was a wandering bard who recorded the noble exploits of the great highland chieftains back in the mist-shrouded centuries before Christ. The original fragments of Celtic poetry from which the poems were translated never seemed to be at hand when Macpherson was asked for proof, but that didn’t stop the brilliant minds of the Edinburgh Enlightenment from being swept along by its Scot-affirming message. No less than David Hume was caught up in the fever. And he was far from alone; incredibly, much of France was in its thrall as well. Massive murals depicting scenes from the poems decorated Napoleon’s Malmaison chateau. Trevor-Roper tracks down all the extant sources – diaries, letters, Highland Society records – and concludes it was about as authentic as Japanese Glenfidditch. James Macpherson did own a few fragments of early Celtic poetry but the Ossian epics could really only have been written by one person – James Macpherson himself. As the Scots’ fascination with Ossian faded it was quickly replaced with another history-burnishing fiction. This time, a sartorial myth. The story of the kilt is an oft-told tale but Trevor-Roper treats it with a sympathetic understanding of the psychological currents that swirl beneath national character. The tartaned kilt was essentially invented, woven and marketed by Thomas Rawlinson, an English Quaker from Lancashire. Far from being the ancient Caledonian dress, it didn’t make an appearance in Scotland until the 1730’s. But the myth was a useful one. It served to unify highland and lowland Scotland. It was “a process whereby the customs and costumes of the Scottish Highlanders, previously despised as barbarous, and at one time formally extinguished, were resumed, elaborated and extended.” It was a fraud, yes, but one that Trevor-Roper was, and the rest of us are, quite happy to live with. I’ve finally gotten around to doing something I’ve been wanting to do for a long time — write and illustrate a children’s book. The title is ‘If I Had a Nightingale’ and it’s a series of short verses about wild animals. The only requirement being that the name has to have three syllables for the metre to work. You’d be surprised at how many animals qualify.